WAS £74511-NOW £64995 SAVE £10000!! PLEASE NOTE WE ARE SHUT EASTER SUNDAY!!! …. our Sale continues with up to £10000 off all new 2018 model year motorhomes! We display over 80 luxury motorhomes on site, with 15 under cover in our indoor sales showroom. We are proud to be main dealers for Dethleffs, Hymer, Auto-Trail, Chausson & Hymercar. We also have a 12-bay, Approved Workshop Scheme (AWS) facility on site which is committed to maintaining your pride and joy and here we carry out our PDIs, habitation serving, and the fitting of various accessories from an additional battery, solar panels to full satellite and TV systems. 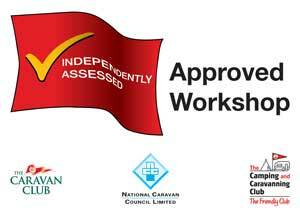 Experience the motorhomers life, familiarise yourself with the systems and the enjoyment of outdoor living. "Congratulations on deservedly regaining the Dethleffs Owners Club excellence in after-sales service award for 2017. Your team consistently receive unprompted praise from our members. Premier motorhomes is our ‘go-to’ dealer to sort out members’ difficult problems. Because of this, we can wholeheartedly recommend that potential motorhomers add Premier to their shortlist." We’re proud to join forces with The Camping and Caravanning Club as a chosen dealer for the South East region in the Club Preferred Dealer scheme. You’ll find us listed as a Preferred Dealer on the Club website: www.myccc.co.uk/preferreddealer. Our current exclusive offer for Club members is £500 off the purchase of any motorhome. To find out more about this offer please ask a member of our team. To take advantage of this offer, you’ll need to be a current Club member and prove this by showing us your membership card at point of purchase. The Camping and Caravanning Club was founded in 1901 and today represents more than 750,000 campers, caravanners and motorhomers, so you’ll be in great company. Save up to 30% on more than 100 UK Club Sites  Access to 1400 member-exclusive Certificated Sites  Discover 150 partner campsites in 13 European countries  Discounted tailor-made insurance products  Specialist breakdown cover with the RAC  Award-winning monthly magazine, Camping & Caravanning  Over 3000 camping events run by members for members  Special camping rates for over-60s and families on Club Sites  Plus much more!